Conversion optimization is an ongoing concern for serious businesses. When viewed in the shadow of a big change like Google's recent Panda Farmer update, optimizing your site's existing traffic streams becomes even more attractive - or necessary - to remain competitive. A book was released recently by O'Reilly, authored by Khalid Saleh and Ayat Shukairy, the co-founders of Invesp - a leading conversion optimization company. Entitled: Conversion Optimization: The Art and Science of Converting Prospects to Customers it is now available from Amazon and most other book providers. 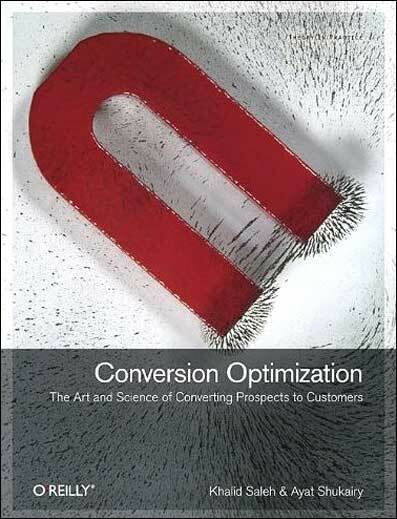 For developing a better understanding of the foundational basics and lucrative potential of conversion optimization, it is a book I would highly recommend. Conversion optimizing is a dense subject, with lots of bits-and-bytes of small, related information tied together to make a complete picture. Saleh and Shukairy tackle this book with the intention of making this dense, complicated subject easier to understand conceptually, and therefore, profit from. I like the way this book progresses in this manner - each successive chapter builds on the ideas posited in previous chapters. Even though I have some experience with optimization, I read the book from the beginning. While it was not new information to me, it was nice to reaffirm where my thinking aligns with conversion experts and identify places where our opinions diverged. Once chapter three starts, the simple ideas presented in the beginning of the book are built-on slowly, which encourages you to see how smaller ideas nourish the roots of larger results. This is a an example of a well considered and deftly executed book idea - and it makes reading and learning easier. A simple tone from industry experts is common with O'Reilly books - it is part of what makes them solid study materials, especially for introducing you to new subjects. What I think Saleh and Shukairy do uniquely well, is inject just enough warmth in their tone to keep the flow engaging without overdoing it and diluting the impact of the subject matter. It is a careful balancing act - they obviously have a ton of information to share and don't want to overwhelm the reader, but at the same time need to keep it on a level that most anyone can embrace. Cold facts often need warming-up before serving them. Saleh and Shukairy say: "Conversion optimization is a blend of science and art. It is the intersection of creative, marketing, and analytical disciplines." I would add that creating an easily digestible tome on a genuinely dry subject matter is an art of its own. It requires an intersecting of knowledge, warmth, experience and understanding, and the writing skills to blend these seamlessly. Saleh and Shukairy use a simple tone and style to layer their ideas upon each other and leave the reader with a sense of foundation and conceptual understanding. The meat of this book concentrates on presenting eight principles that combine into what Saleh and Shukairy call the "Conversion Framework." They believe that understanding this framework correctly allows you to apply it judiciously and continue to benefit from conversion optimizing efforts both online and offline. They want to teach a man to fish, not simply feed him. Here again is where the reader benefits from the approach of these specific authors. Rather than using ideas that are rooted in topical or fleeting "what is working now" type of thinking, Saleh and Shukairy want you to avoid the simple path, and learn something deeper - something that will continue to offer you value. These concepts are explained and well supported by examples, numbers and facts. For example, when discussing the creation of personas, they are adamant to warn against getting lost in this effort and provide realistic numbers for you to use to keep your own efforts in-check. While they are encouraging the implementation of conceptual information, they offer guidelines and warnings that are much more concrete. They walk you slowly to the intersection of art and science. After the Conversion Framework concepts are presented and supported in chapters 3-8, in chapter nine Saleh and Shukairy present you with 49 specific things to consider in optimizing your website. This part of the book is something very concrete that you can return to for any new project. While you may not want to do all 49 of these things to every effort, it is a safe bet that your best moves for most optimization projects are clearly detailed within them. I'd recommend a bookmark here. One thing I like about these 49 specific things to address, is that Saleh and Shukairy are candid about what to expect. If a change is not likely to produce much of a lift, they state it. What this does, is helps you to approach your own efforts with additional perspective on potential results. You can save time through the benefit of following the authors' expert advice. Ultimately, the informational depth of a book like this should work to save you time and efforts - bringing an understood focus and purpose to your next move. By establishing a conceptual framework and then offering concrete, actionable items Saleh and Shukairy present a well-balanced and useful resource that achieves this purpose. While I feel most people who work in selling products would benefit from the ideas presented in this book, the authors themselves offer a warning in the preface to answer the question, "Who Should Not Read This Book?" We cast a wide net when we wrote this book, but there are a few people who might not enjoy it. Developers whose work stays far from the actual user of their application (i.e., developers of backend applications) aren't likely to enjoy this book. Those who believe that conversion optimization is only about testing may not like our approach to optimization. Finally, those who are looking for pure tactics and are not concerned with the theory behind conversion optimization might find some of the chapters in the book boring. Personally, I believe that with the simple tone and structured logic in the way the concepts are presented, this is a quick read that offers a lot to gain. Having the 49 items to optimize as a reference-ready checklist simply adds to the overall value. Consider this: Brand new, this book (offered bundled in both print an e-format) retails for less than $40 US, and you can buy it as just an e-book for even less. This is a very small investment if even one idea in it pays off for you somewhere. If more of these ideas resonate, you may implement new strategies that increase your returns by thousands, or even hundreds-of-thousands of dollars. 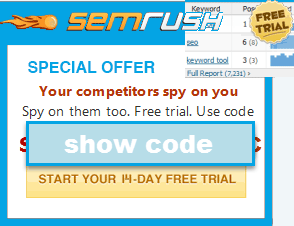 The potential effect of conversion optimizing cannot be overstated. In times when it gets harder to count on the search engines to bring you more and more traffic, it is a shrewd move indeed to look toward conversion optimization. Saleh and Shukairy offer you a simple, straightforward means to consider; reading Conversion Optimization: The Art and Science of Converting Prospects to Customers can easily be seen as a small, but smart investment in remaining competitive. ...but I actually thought of a good companion read here, Jey: Made to Stick by the Heath brothers. It is a conceptual look at what makes content compelling - what makes one story "stick" more than another. Touches on some Jungian-type of ideas that I too, believe to have merit. I think it would work well with this book, because it would give you a conceptual framework on how to approach creating a unique site full of compelling content that you are prepared to fully optimize. The Heath brothers book is not as direct - but the gist of it is easy enough to grasp, and it too, is a nice, quick read that leaves you with a deeper understanding of how to approach common challenges in online marketing. I remembered receiving an email yesterday from O'reilly offering a 50% discount to contribute to the Japan earthquake relief and ended up getting the Ebook version for $14! Yes, a steal! I think it's valid only for a short while.